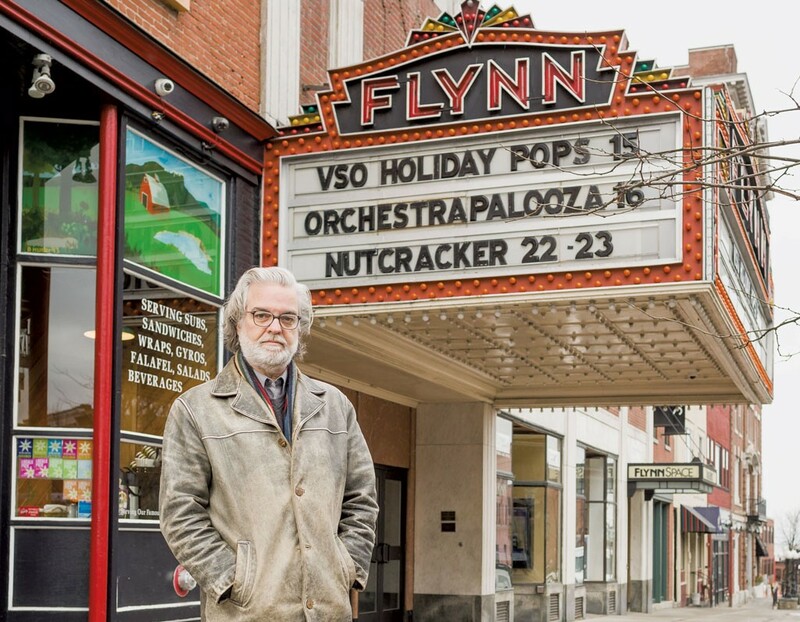 "It's been a traumatic year for the FlynnSpace," says Steve MacQueen, artistic director of the Flynn Center for the Performing Arts. That might be the understatement of the year. The Burlington black-box theater has certainly had a trying 2018, and not for the reasons performing arts spaces typically struggle. As MacQueen puts it, "First we were flooded, then we were deserted." In August, just weeks before the 2018-19 season began, a water main burst along Main Street, flooding the basement theater and causing extensive damage. "If you've ever had a basement flood, it kinda works out the same way," says MacQueen. "You take out the water, you clean up the mud, you clean what's left, and you fix everything." Repairs were swift and comprehensive. If anything, FlynnSpace is in better shape now than it was before the flood, thanks to a completely new floor and upgraded sound system. However, two September shows had to be bumped upstairs to the Flynn MainStage while crews raced to get the flooded theater back up and running. FlynnSpace reopened in October, just in time to host the Vermont Stage production of The Curious Incident of the Dog in the Night-Time. The play kicked off the local theater group's 25th season, but it was its last production at FlynnSpace, ending a 17-year run. In December, Vermont Stage moved to its new digs down the street at the Main Street Landing Performing Arts Center's Black Box Theatre, and FlynnSpace lost its longest-tenured tenant. That defection will change programming at FlynnSpace in 2019. As MacQueen explains, Vermont Stage's various productions ate up huge chunks of the calendar, several weeks to a month at a time. The vacancy creates unprecedented holes — and opportunities. "The way I used to program FlynnSpace was to find little cracks in the calendar where you could put something cool," says MacQueen. "Now that the calendar is wide open, we're looking to do as much as we can with it." That includes leaning into more offbeat and cutting-edge programming. Specifically, Green Mountain Cabaret will take up residence at FlynnSpace beginning in February. MacQueen also envisions a regular jazz series that fills the space with the energy typically reserved for the annual 10-day Burlington Discover Jazz Festival. "We'll get that jazz club vibe you get during Jazz Fest going on a more regular basis," he says. MacQueen also intends to increase the theater's world music offerings and expand its comedy programming. Vermont comedian Josie Leavitt's popular "Stand Up, Sit Down, & Laugh" showcase series will run more often in 2019 than it has in the past, and the local sketch troupe Stealing From Work is slated to debut a show at FlynnSpace in the spring. MacQueen also teases the possibility of appearances by touring groups such as the Upright Citizens Brigade. "I want to make sure we have our eye open to the weird stuff that can happen down there," MacQueen says. In addition to curated programming, MacQueen hopes to make FlynnSpace more accessible to Vermont performers. To that end, the organization recently lowered its rental fee for Vermont artists to around $400 per weekend night, the lowest rate for using the space. "I think it's a bargain at any price, but of course, what else am I gonna say?" MacQueen quips. MacQueen adds that, because FlynnSpace is booked almost solid through the Burlington Discover Jazz Fest in June, patrons may not notice the bigger changes, particularly the more experimental bookings, until the fall. "We're trying to make it as accessible as we can to the community and bring in stuff that works," says MacQueen. "But my favorite thing about the FlynnSpace is all the weird stuff, the totally offbeat things that happen there." The original print version of this article was headlined "After 2018 Travails, FlynnSpace Looks Ahead"